WW1 has ended and Lou Remington has left the marine corps. He and his crew are sent to Britain to train to fly R38's back to New Jersy. After an accident, Lou settles down in the countryside and falls in love. Till one day the Brits come knocking. They want him to join them in building the mightest and safest airship ever seen. This offer presents Lou with great rewards but could come at a great cost. 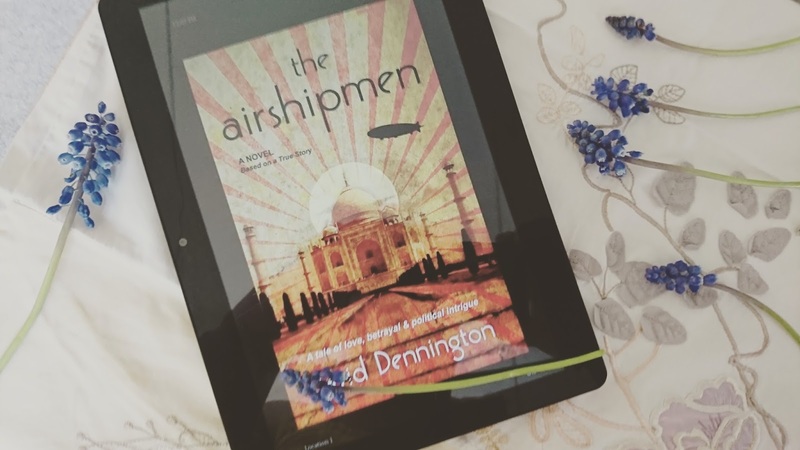 This book is a historical fiction based in Britain after the end of WW1. I didn't think this book was going to be for me, as I'm not a huge historical fiction fan. I'm not going to say I didn't enjoy it because I did however, I don't think I would read it again. This book is well written and clearly well researched. There is a range of characters with different backgrounds, each with their own story to tell and a reason for being. This book shows friendship, love, political rivalries and does a great job to delve into each issue well. All in all an alright book for those who enjoy the historical fiction genre I would definitely recommend.